Join us on Friday, November 3rd – during Downtown Chestertown First Friday – for the opening of the inaugural exhibition in the new gallery of the Kent County Arts Council (KCAC). We are christening our new space with artwork from The Arts & The Military ART/ifacts Collection and from The Joe Bonham Project. Our inaugural show – WAR FRONT / HOME FRONT: Through the Eyes of Our Military – is created in partnership with curator Tara Tappert, Founder and Principal of The Arts & The Military and Michael D. Fay, Founder of The Joe Bonham Project. It is funded, in part, by The Institute for Integrative Health. There will be three special events during the run of the show. All are free and everyone is welcome. 1) Grand Opening – First Friday, November 3rd, 5:00 to 7:30 p.m.
2) Poetry Reading – MEDIC AGAINST BOMB: A Doctor’s Poetry of War, Frederick Foote, M.D. (CAPT, MC, USN, ret.) 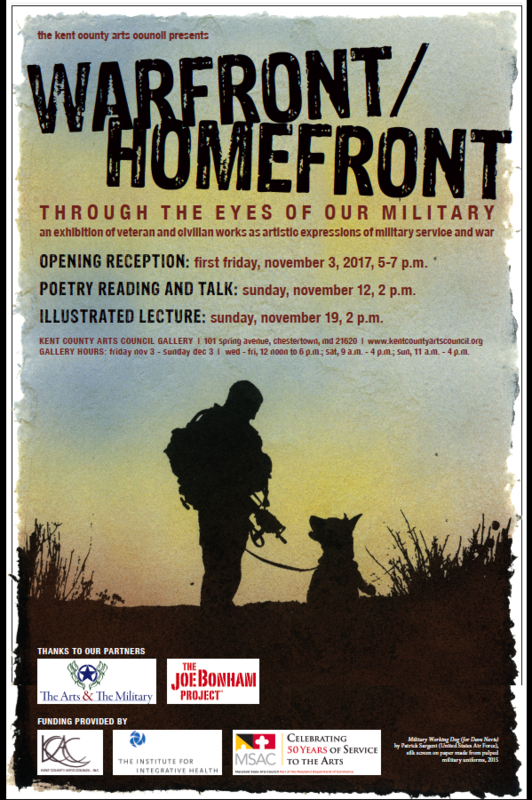 – Sunday, November 12, 2:00 p.m.
3) Illustrated Lecture – Beyond Stereotypes: War, Warriors, and the Creative Arts, by Tara Tappert, Founder and Principal, The Arts & The Military; and, Michael D. Fay, (CW02, USMC, ret.) Retired Combat Artist, and Founder, The Joe Bonham Project, Sunday, November 19, 2:00 p.m. Wed – Fri: Noon – 6 p.m. 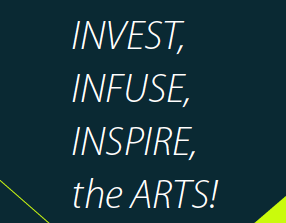 The Kent County Arts Council mission is threefold: We INVEST by awarding competitive grants to nonprofit arts organizations, artists, and community programs presenting arts activities; We INFUSE by providing support for artists, administrators, and boards, to ensure strong stewardship of public and private investment; and finally, We INSPIRE by bringing visiting and resident artists from all disciplines to challenge the status quo; expanding the role the arts can play in social and civic dialogue. The Kent County Arts Council is a 501(c)3 organization funded in part by the Maryland State Arts Council with support from the National Endowment for the Arts, and by a grant from the Kent County Commissioners.